Sharjah Investment and Development Authority (Shurooq) has been a strong force behind Sharjah’s burgeoning tourism sector since 2009. As part of its ongoing strategy to promote the emirate as one of the region’s leading luxury and authentic tourist destinations, Shurooq recently announced the launch of a new brand of hotels – Sharjah Collection – at the Arabian Travel Market (ATM) 2017. The announcement was part of Shurooq’s participation at the 24th edition of ATM 2017, which concluded on 27 April (Thursday) at Dubai World Trade Centre (DWTC). The focus of Sharjah Collection with its luxurious lodge and B&B-style properties, coming up in Sharjah’s eco-tourism and heritage sights being developed by Shurooq, will be to offer its guests unique and distinguished living experiences accented with an authentic taste of Arabian hospitality and rich in Emarati culture. In its first phase of development, Sharjah Collection unveiled its first three properties. Nestled within the Kalba eco-tourism project will be Kingfisher Lodge – a collection of tented lodge-style accommodations surrounded by mangroves and diverse ecological zones, allowing guests to live in an environment-friendly way. 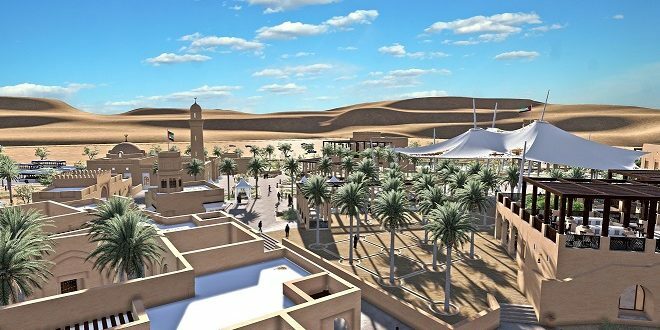 Their next development, Al Badayer Lodge, will be developed against the backdrop of a prominent natural feature of the Arabian Peninsula – its sweeping deserts of Al Badayer Oasis in Sharjah. The property will be developed to cater to the tastes of adventure lovers, where guests will enjoy urban amenities amid authentic Bedouin surroundings. The final property in the first phase, Bait Khalid Bin Ibrahim, will comprise two four-star B&B villas in Heart of Sharjah, the region’s largest historical preservation and restoration project. Converted from old Emirati homes that belonged old heritage settlements, the B&B aims to provide visitors from around the world unique insights into traditional UAE living. “The launch of Sharjah Collection is in line with Shurooq’s strategic approach to elevate the standards of Sharjah’s hospitality sector. 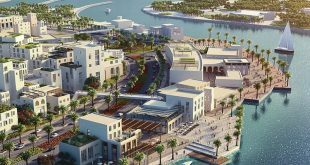 We are working towards building a portfolio of luxury and cultural hotels and resorts that will be the face of a new wave of tourism in the emirate. 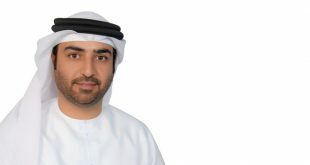 The move signals the authority’s efforts to maximise tourist assets in Sharjah, and ensure their optimal use in furthering the stature of the emirate on the global tourism map,” said HE Marwan bin Jassim Al Sarkal, CEO of Shurooq. “Sharjah is rich with sights and is a popular destination, especially among tourists from the GCC countries, who desire luxury hospitality facilities in the emirate. 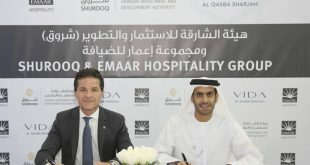 Sharjah presently has a strong advantage in leading the authentic tourism and hospitality sector, thus Shurooq has established a new world-class hospitality entity, which will introduce a plethora of brand new authentic and cultural experiences and facilities in the emirate and work towards attracting both unique investments and tourism experiences into this vital sector,” Al Sarkal added. 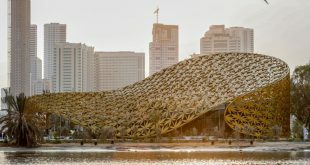 “Moreover, the 3 hospitality projects under the “Sharjah Collection” brand all provide a unique discovery experience, thanks to their cultural and historic values and locations, and the authentic hospitality and tourism experience they will provide to all its visitors. Sharjah’s hotel occupancy rates increase by 13% annually, while hotel revenues rise by 12.3%. They are expected to touch AED 686.8 million ($187 million) by the end of this year, and AED830 million ($226 million) by 2019. These are strong indicators of the attractiveness of this sector,” remarked the Shurooq CEO. 94% of the emirate’s hotels are based in Sharjah, while the remaining 6% of hotel establishments are located across Khorfakkan and Kalba and Eastern region. 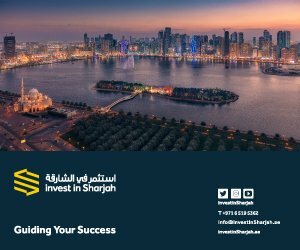 Last year, 4- and 5-sttar hotels accounted for 70 percent of the total revenues generated from hotels in Sharjah, indicating large return on investment within these categories. In the first phase of development, the three hotels under the brand will be reformed to deliver a unique hospitality experience, personalised in accordance to the symbolic culture of the areas in which these projects exist. During its participation in ATM 2017, Shurooq made use of the leading global tourism and travel event to highlight its groundbreaking hospitality projects to a target audience of potential investors, with a special focus on Sharjah’s leading tourist destinations, most notably the Mleiha Archeological and Eco-Tourism project and Al Noor Island, which received great interest from international tourism companies, travel agents and individuals.